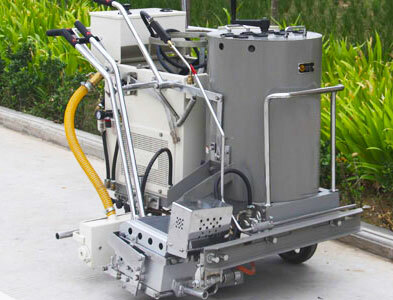 DY-SPTC Self-propelled road marking machine integrated the micro-computer system, sensing system, air compressor, driving system, etc with one machine, can finish convex road line marking one time. It is completely conform to the international vibrating and reflective standards, and with stronger deformation resistance. It is suitable for city road and highway small road marking work. The advanced driving system can control the forward, reverse and stop. 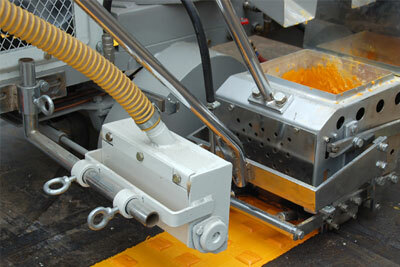 The screeding marking shoe makes the marking line beautiful. The automatic quantitative glass beads dispenser makes the glass beads spraying even and saving. 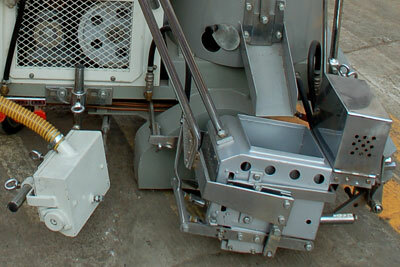 The back fixed caster makes the machine go straight and turning freely. 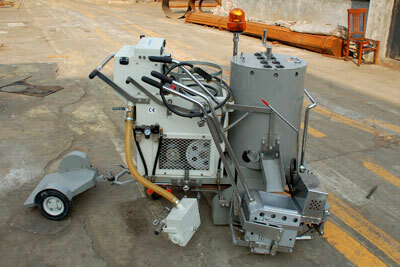 The standing trailer, electric start, warning light and lighting lamp is optional.